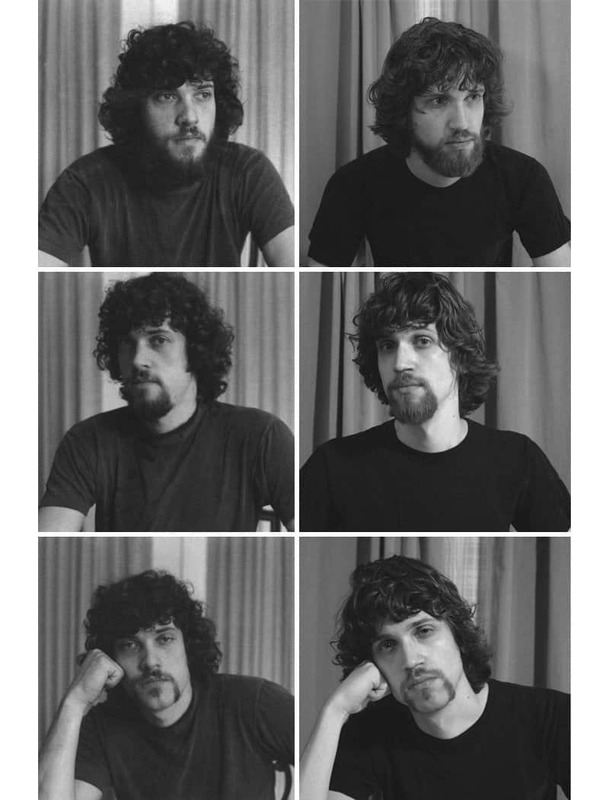 Everyone knows that identical twins look the same, follow by regular twins, followed by siblings, and way down the track, people would eventually be able to see similarities between parents and children. 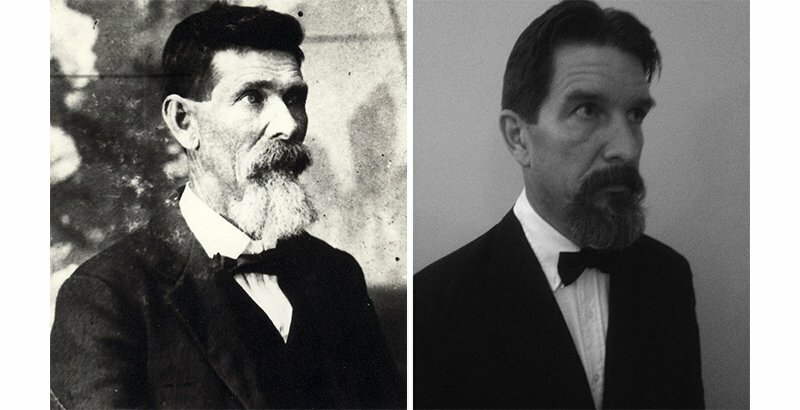 Luckily with the invention of the camera, many of these similarities are even more prevalent and are much easier to spot, as people tend to take more and more photographs. This can be seen in the following list, a list that shows two images, one of an individuals parent, and one of themselves, at roughly the same age. You will think you are seeing double, but believe us, these aren’t the same people. 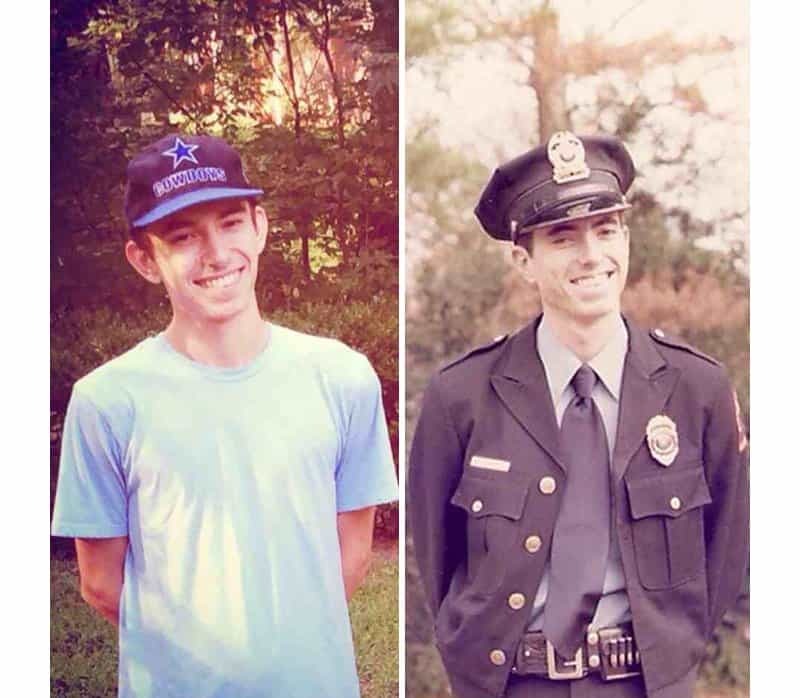 This uncanny resemblance between a young police officer and his son many years later, with both pictures being taken at 20 years of age. 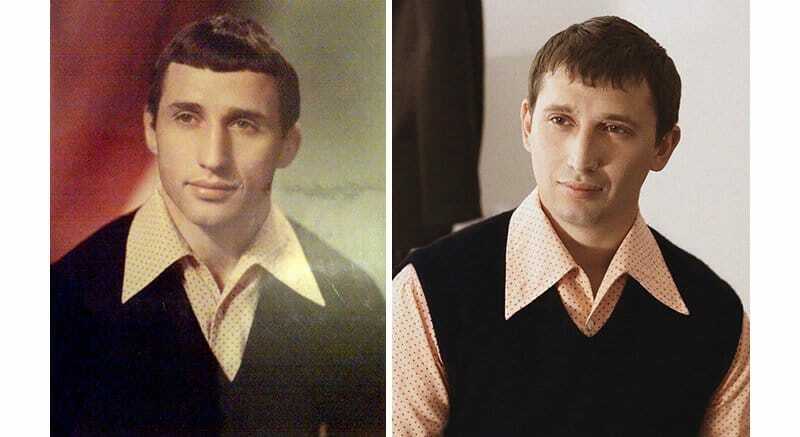 It looks like this gentleman and his father both took mirrored shots in a mall photo booth, when in reality it is just a similar background, grey-scale photography and many yeas apart — 36 years apart to be exact. 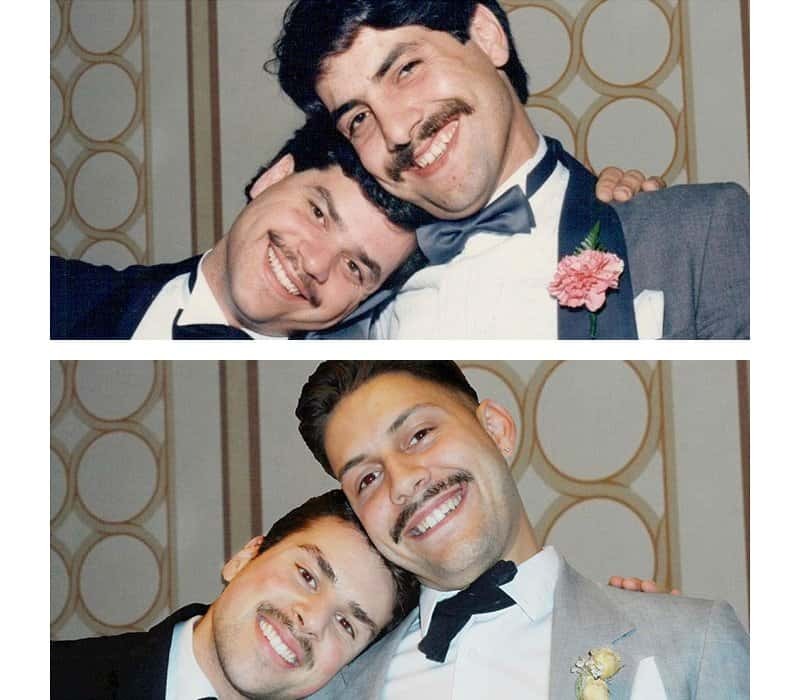 This is a comparison shot of a young man and his friend, followed by each one’s individual sons before their formal event. 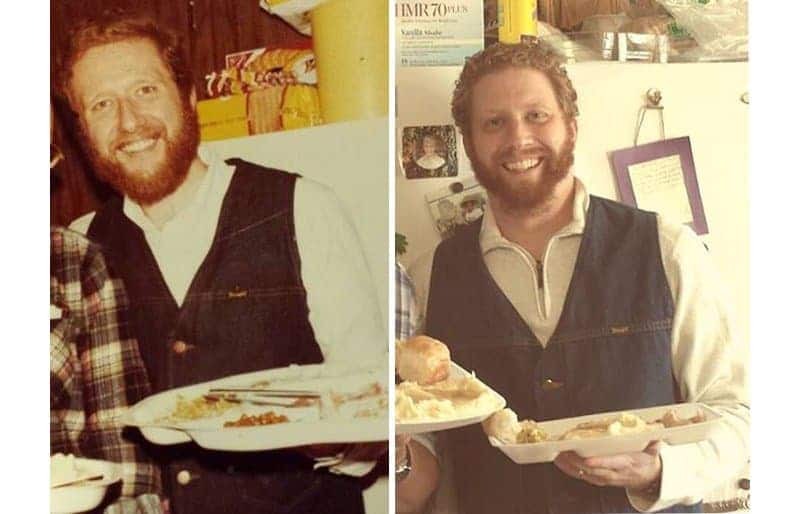 No only does this man with his beard look similar to his father before him, but the scene recreation is also accurate, albeit slightly different due to changes in technology and fast food. 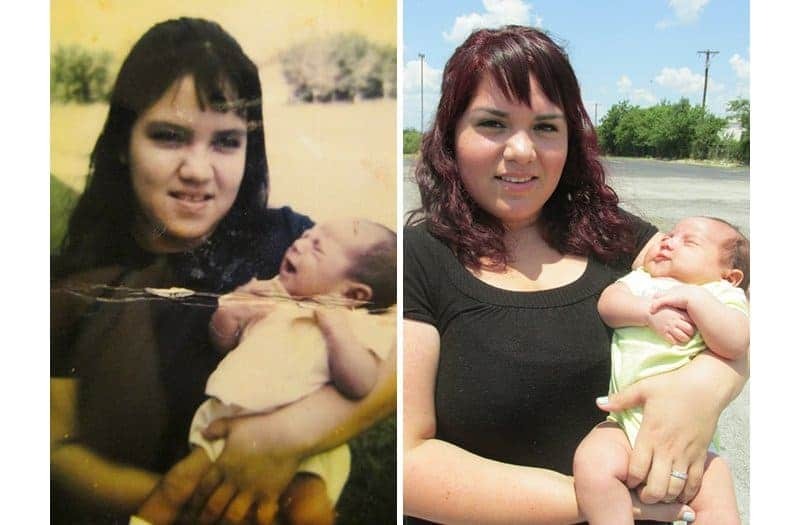 It’s hard to believe that the daughter in the picture to the left looks so similar to the mother in the left, whilst also holding a daughter of her own. It would be interesting to see the next daughter create a similar shot. As the title suggest, this photograph bridges three generations. With a similar fashion sense, the resemblance really does become uncanny. 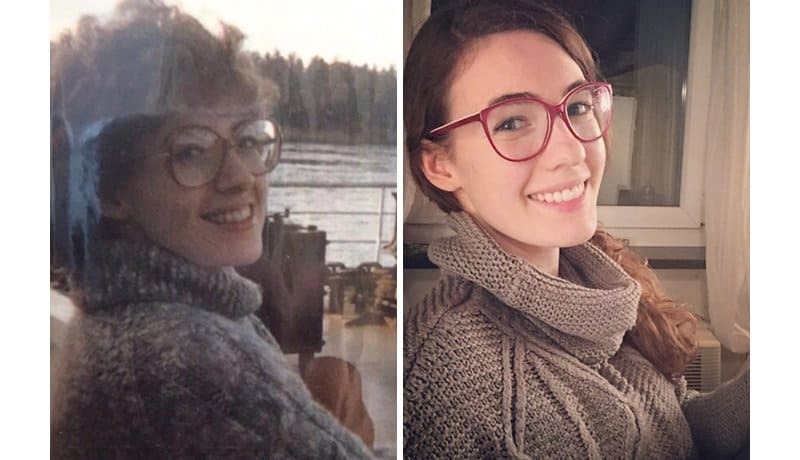 It seems that not only do mother and daughter look the same at the same age of 25, but they also have similar fashion sense. This is a picture of a mother and her daughter, albeit after quite a few decades. 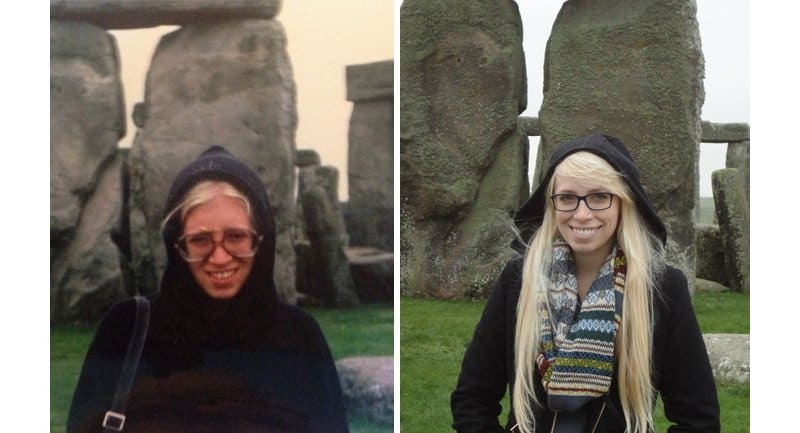 The fashion sense, blonde hair and massive glasses show that this may be a time-travelling woman! 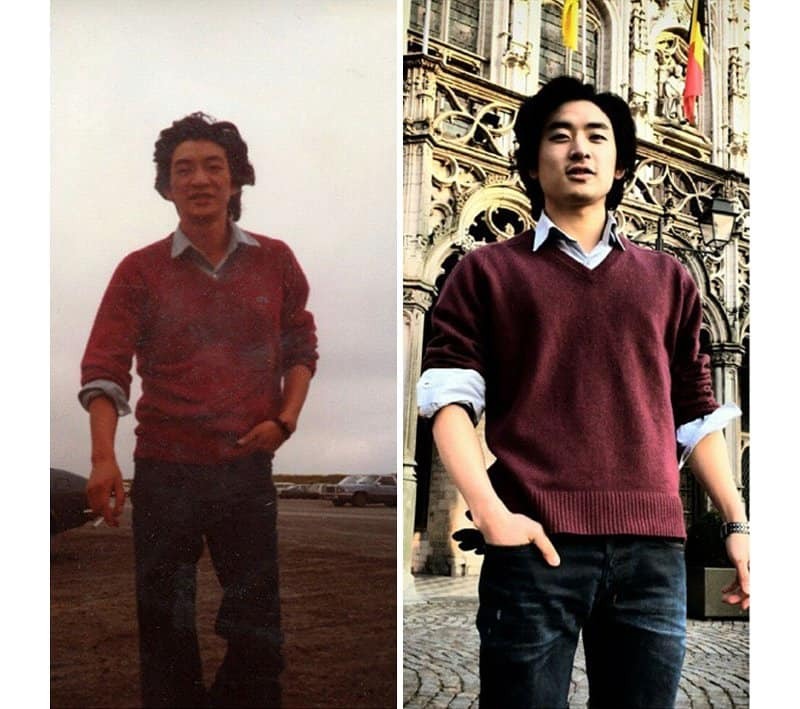 A young man looking as suave as his father did before him with the fashion of the 70’s. This young man had the misfortune of having his father pass away when he was a child. Fortunately for him, it is very clear that his father lives on with him.